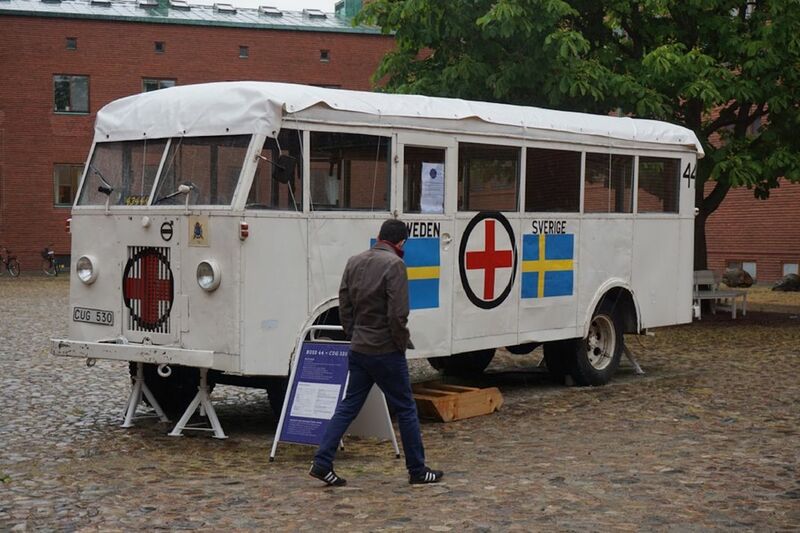 The Malmö museum was transformed into a refugee haven in 1945 for Nazi concentration camp escapees. The white buses transported these refugees, offering opportunities for a new life. I caught my husband reflecting on the current refugee situation.